The Humanitarian Support Foundation VA office partnered with the SPCA of Martinsville and Henry County to help support the second annual Putts for Mutts golf tournament. The event took place at Chatmoss Country Club on July 23, 2015. 84 golfers participated including members of the Humanitarian Support Foundation staff to help raise funds for this organization. Concessions and raffle tickets were sold to benefit the SPCA. The event included a chance to win $100,000 and a vacation for one week in Hawaii. Many other prizes included gift cards to local restaurants and stores for special prize golf holes throughout the course. The Humanitarian Support Foundation team helped to register golfers and provide players with their hats and swag bags upon arrival as well as watching prize locations for potential grand prize winners and serving concessions. In total over $10,000.00 was raised during the event to help care for local animals while they are waiting for their forever home. A special thank you to Jim Mills Nissan Chrysler Dodge and Jeep Automotive for their platinum sponsorship of this event. The Humanitarian Support Foundation VA office is committed to help the SPCA of Martinsville and Henry County in various events throughout the year in an effort to help raise awareness about this worthy cause and ensure all of the animals are able to find their forever home. 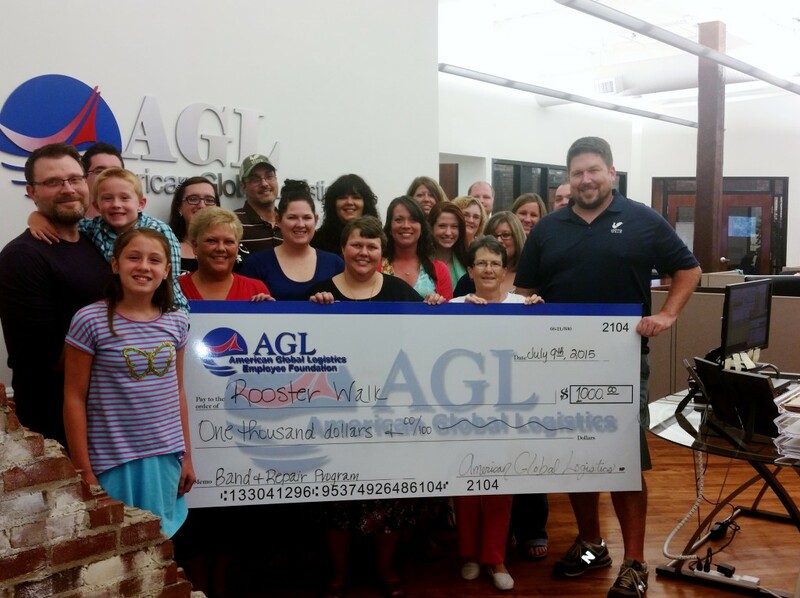 Rooster Walk and Humanitarian Support Foundation have again partnered together to continue the Repair and Replace program created in memory of Todd Eure in 2014. The program allows people to donate used band instruments to Rooster Walk. Rooster Walk then has the instrument repaired and donated to a local school’s band program. To continue the great work coming from this program Humanitarian Support Foundation donated $1,000.00 in memory of Todd Eure a former Humanitarian Support Foundation employee. Eure was an avid band member from fifth grad until his graduation from City school in 2000 including jazz and marching bands. “What a great way to honor someone’s life by passing on a love for music and band to a child that may not otherwise get this type of opportunity” said Blake Shumate Humanitarian Support Foundation General Manager.